The woe that has been afflicting Manchester United for far too long is the lack of a leader at the heart of their defense. This mistake is one that Jose Mourinho sought to amend towards the end of his reign, but Ed Woodward’s refusal to part with adequate funds meant that capable centre-backs like Toby Alderweireld and Harry Maguire were left unpurchased in the summer window. That flaw has been inherited by Ole Gunnar Solskjaer. Despite his key defenders Chris Smalling and Victor Lindelof having improved immensely over the course of the season, United still make silly mistakes at the back and get overwhelmed when a sophisticated attack tries to get past them. From quite a few months now, Kalidou Koulibaly has been hailed as the perfect signing for the Red Devils to make. However, what has also been touted as a given was that the Napoli defender would cost the club a fortune. Now, we may finally have an idea of just how deep into their coffers Manchester United will have to reach. As per a recent report, the Senegalese centre-back will cost United upwards of £110 million. 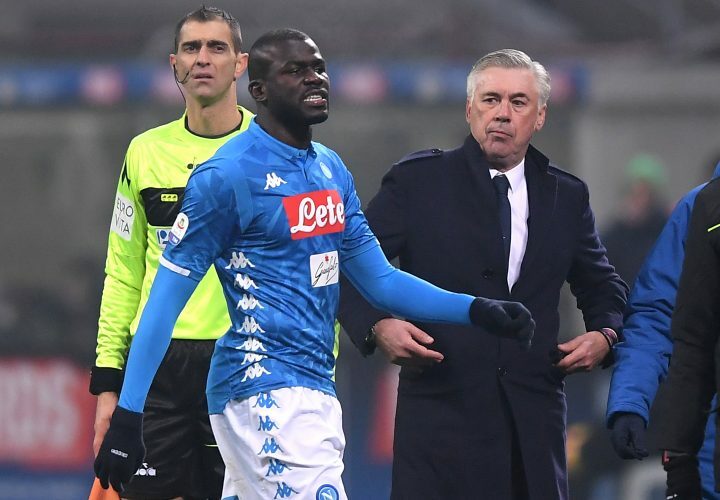 This asking price from the Italian giants will mean that Koulibaly could easily become the most expensive defender in transfer history, surpassing the £75 million paid for Virgil van Dijk by Liverpool. The big question now remains as to whether Ole Gunnar Solskjaer and company consider him to be an apt purchase. Their past failures at spending big may come to haunt them soon if that trend continues. While the general consensus amongst reports seems to be that the Norwegian will be given a massive war-chest to overhaul his squad in the summer, the effectiveness of those funds remains to be seen. Is the 27-year-old a wise investment, or should the English giants think for the long term?